The Mistake of Complacency – we perform without being committed to connecting and communicating. So distracted by all of the details we forget to make music. No one likes getting things wrong. It can be embarrassing, messy, expensive, damaging. But sometimes we fixate so much on avoiding micro mistakes we don’t notice how we might be missing the bigger picture. 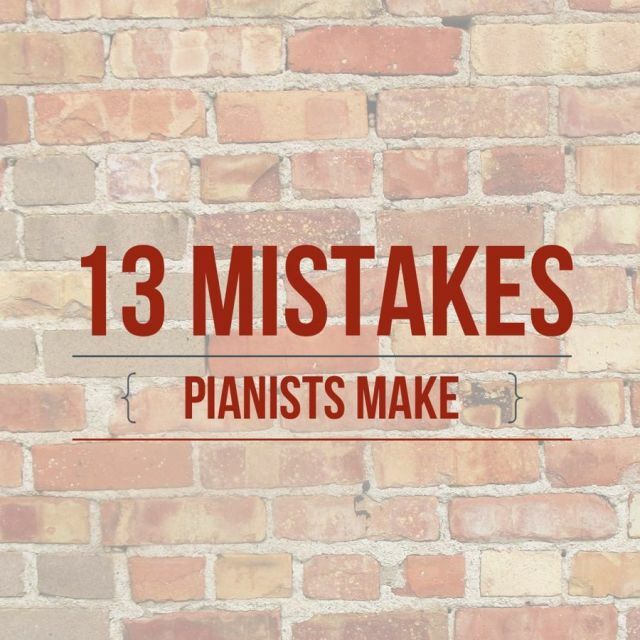 Here are thirteen mistakes pianists make, and only a few of these are specifically related to playing the right notes. 1. The Mistake of Omission – something is supposed to be there and it’s missing. 2. The Mistake of Difference – something is supposed to be there, but we put something else in instead. 3. The Mistake of Addition – nothing was supposed to be there, but we put something in. 1. The Mistake of Misreading – we do what we think the score asks us to do but we misread the score. 2. The Mistake of Misunderstanding – we read the score correctly but we misunderstand what it means.